(Open Box) An ideal blend of modern features with vintage tone and vibe. 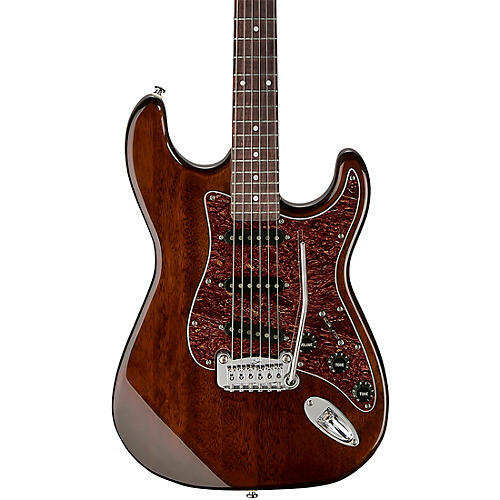 The G&L Legacy is aptly named, blending contemporary refinements into Leo Fender's original G&L designs for the S-500 and Comanche for an end result that delivers modern playability with vintage credibility. Warm, Alnico V single-coil pickups, refined by G&L's VP of engineering, Paul Gagon, to capture the best of vintage tones, speak with an expressive voice, and the gorgeous limited-availability Irish Ale finish makes this an instrument that will always stand out as a special breed, indeed. Get this limited-availability finish while it lasts—order your Tribute Legacy today.